This state-of-the art virtual reality ride simulator provides an intense virtual experience! It features 2 seat pods, 360° viewing, dual action and special effects such as wind and vibration. 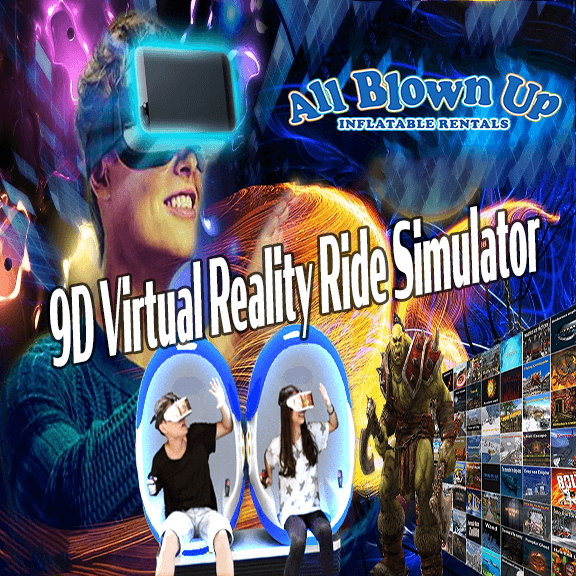 With over 50 virtual worlds to explore, the 9D Virtual Reality Ride Simulator will entertain guests for hours! Everyone loves going to the amusement park. 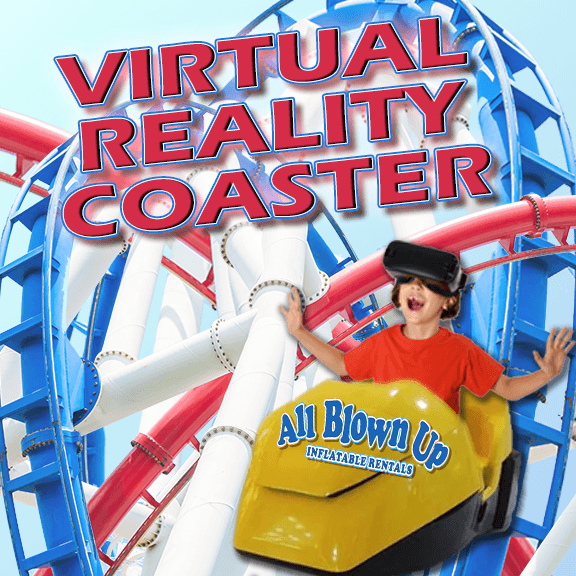 With our Virtual Reality Coaster, you can bring the amusement park to your next event! Our Virtual Reality Coaster has state-of-the-art immersive ride effects. From the vibration system to wind effects and the stunning scenery with a 360° view, our Virtual Reality Coaster provides exceptional realism and edge-of-your-coaster-seat thrills! This awesome attraction features single- or double-rider action and is good for all ages. With a long list of ride scenarios to choose from, your guests can have several adventures of a lifetime!